Union is also known as: Franklin County / Union city. Zip codes in the city: 63084. Some of the notable people born here have been: (roy parker), and (paul j. mueller). Union is a city in and the county seat of Franklin County, Missouri, United States. It is located on the Bourbeuse River just 50 miles (80 km) southwest of St. Louis. The population was 10,204 at the 2010 census, with the city showing the highest growth rate (32%) in Franklin County the last decade. It was noted by Bell Banner on June 14th, 2017 that Dwayne Wright Hicks passed on in Union, Missouri. Hicks was 86 years old. Send flowers to share your condolences and honor Dwayne Wright's life. It was disclosed by Bell Banner on May 4th, 2016 that Ida Viola Farris (Shockley) perished in Union, Missouri. Ms. Farris was 79 years old. Send flowers to express your sorrow and honor Ida Viola's life. It was written on February 5th, 2015 that Wayne McClain died in Union, Missouri. McClain was 77 years old and was born in Mounds, IL. Send flowers to share your condolences and honor Wayne's life. It was revealed by Bell Banner on January 21st, 2015 that Nina F Tynes (Guinn) passed on in Union, Missouri. Ms. Tynes was 76 years old. Send flowers to express your sympathy and honor Nina F's life. It was written by The Maries County Gazette on September 10th, 2014 that Gerald Borgmeyer passed away in Union, Missouri. Borgmeyer was 82 years old. Send flowers to express your sorrow and honor Gerald's life. It was disclosed on August 27th, 2014 that Kenneth Eugene French perished in San Antonio, Texas. French was 85 years old and was born in Union, MO. Send flowers to share your condolences and honor Kenneth Eugene's life. It was written by Hutchinson News on April 7th, 2014 that Robert J Gumpenberger died in Kinsley, Kansas. Gumpenberger was 78 years old and was born in Union, MO. Send flowers to express your sympathy and honor Robert J's life. It was revealed by The Maries County Gazette on December 11th, 2013 that Tonia R Spurgeon (Shockley) died in Union, Missouri. Ms. Spurgeon was 47 years old. Send flowers to express your sorrow and honor Tonia R's life. It was reported by Unterrified Democrat on December 11th, 2013 that Tonia R Spurgeon (Shockley) perished in Union, Missouri. Ms. Spurgeon was 47 years old. Send flowers to share your condolences and honor Tonia R's life. It was written by Amarillo Globe-News on January 13th, 2013 that Grace Blanchard (Dehn) passed away in Amarillo, Texas. Ms. Blanchard was 87 years old and was born in Union, MO. Send flowers to express your sorrow and honor Grace's life. The population was 7,757 at the United States Census, 2000 census. It is located on the Bourbeuse River. The city was founded in 1827 and is named after the Idealism of political unity. 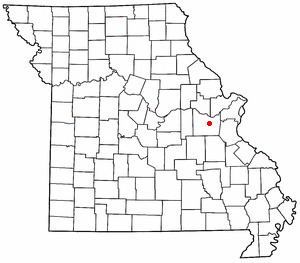 Union is a city in and the county seat of Franklin County, Missouri County, Missouri, United States. .
She picked up garbage on her daily walks that started at Cabanne and Union Boulevard and ended at Ivory Perry Park ... Mrs. Logan never found time to get a teaching certificate in Missouri, said her daughter, Veryle Hudson of Minneapolis. funerals in Union, MO 63084 on Yahoo! Local Get Ratings & Reviews on funerals with Photos, Maps, Driving Directions and more. Find BBB Accredited Funeral Directors near Union, MO - your guide to trusted Union, MO Funeral Directors, recommended and BBB Accredited businesses.